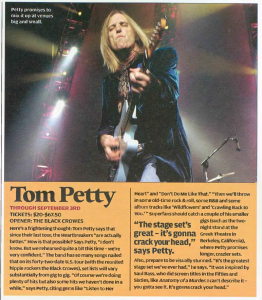 The waiting is the hardest part: While relaxing in Malibu, California, just days before his summer tour kickoff in Florida, Tom Petty decided to launch this torpedo in the Smoking Section: "I'll have an album out by next year," says Petty, "unless it gets out this year, in the last little bit of December. It's called Highway Companion, and it's a solo record." If you remember correctly, his last two solo records -- Wildflowers and Full Moon Fever ­-- are freakin' unbelievable, so how does this one stack up? "I think it's a special one," he says. "I really do." Yes! 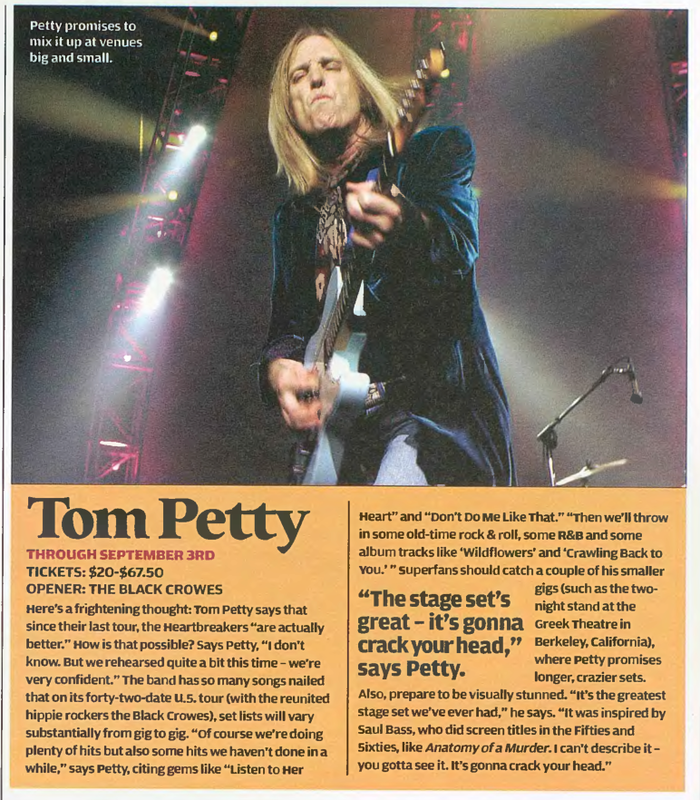 At his gigs this summer, Petty and his amazing Heartbreakers will road-test a couple of the new songs -- a song called "Melinda," and, says Petty, "one that we're really excited about called 'Turn This Car Around.'"